Richard Donnelly publishes poems and stories in a variety of journals, including Queen’s Quarterly and Rattle. 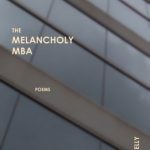 He is the author of The Melancholy MBA, published by Brick Road Poetry Press of Columbus, Georgia. Information is available at www.themelancholymba.com.